Town Park Adventure Day. 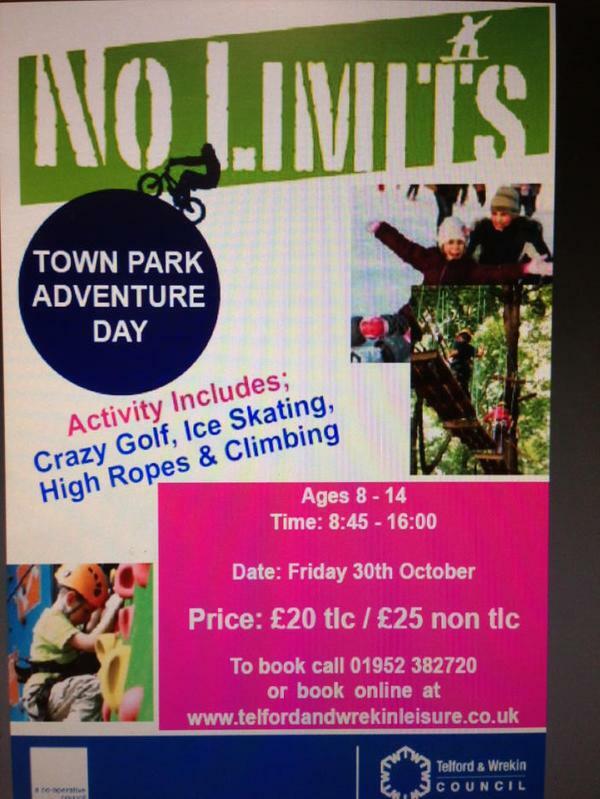 Activities include Crazy Golf, Ice Skating, High Ropes & Climbing. Get £5 off with a TLC card.